There’s no denying that, as far as filmmaking goes, mirrorless cameras are leading the charge when it comes to quality and creativity. If you’re wondering what the best mirrorless camera under 1000 dollars is, then you might be surprised. For the last few years, DSLR and mirrorless cameras have been head-to-head, and filmmakers of all skill levels have been battling out, experimenting and exclaiming which ones are the best to use. Of course, while there are plenty of video-orientated DSLR cameras out there, mirrorless cameras are now being embraced fully by all areas of the industry. However, when it comes to using one as a filmmaker, you’re now left with a fundamental decision to make. Whether you’re starting out in the world of videography, or you’re an expert looking for the best camera to use on your next feature, you’re going to need to choose the mirrorless camera that’s right for you. On a budget? No worries. Mirrorless cameras have been available for a long time, and they’ve come a long way since their conception back in 2008. That’s why there are plenty of decent models available for under $1,000, and today, we’re going to take a look at the top six. Let’s take a look at 6 of the best mirrorless cameras that we find irresistible! 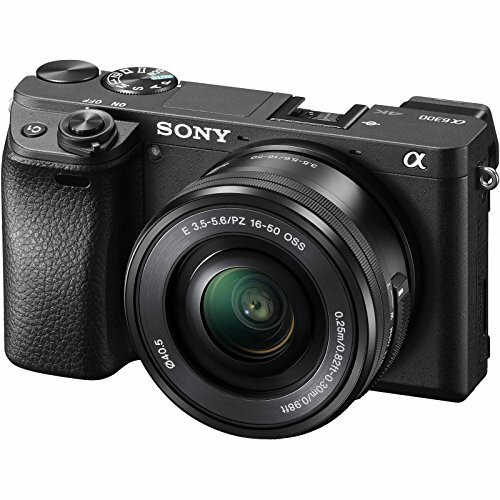 Sony has been redeveloping and redefining the market for the last few years, and as a result of their recent innovation efforts, the prestigious Alpha A6300 is a powerful example of how far the company has come and what they can use their technology to achieve. What we love about the A6300 is the fact it’s retained everything filmmakers loved on the A6000, ensuring this model remains well-rounded for all users but has added some minor improvements to optimize the entire experience. For example, you’ll find this 24.2MP Exmor CMOS APS-C is the same as the A6000, but it’s been rebuilt in such a way that it boasts faster readout times and can process light much faster. The camera also prides itself on its high-resolution results through the ISO100-51,000 range. However, what really sets this camera apart, as you would expect from a mirrorless system, is the outstanding auto-focus feature. This is capable of on focusing on moving objects within a 0.05-second timeframe, which as a filmmaker, is critical for making sure you get the bucket shot. You can also use this camera to record in 6K and enjoy other benefits like enhanced battery life, improved dust and moisture resistance, and an outstanding collection on integrated connectivity features, making it easy to see why this mirrorless camera is so popular. If you’re looking for something simple yet powerful to take with you on your shoots that allows you complete creative freedom, but doesn’t hold you back, perhaps the Canon EOS 200D, the world’s lightest vari-angle screened camera, is the device you’re looking for? Upgraded from the previous model, the EOS 200D packs the industry-leading 24.2MP Exmor CMOS APS-C sensor with works seamlessly with the coveted DIGIC 7 Image Processor. This accompanies the ISO100 – 25,600 range, in which you can use the integrated ‘H’ setting to boost this to 51,200, providing you with the full scope for the highest quality content. Easily one of the best selling points here is Canon’s executive Dual Pixel CMOS AF feature. Typically sued on more expensive, high-end devices, this is the most affordable model that Canon has included it in. With it, you’ll be able to enjoy super-fast phase-detection autofocus capabilities and Servo AF tracking, ensuring you can enjoy the clearest footage no matter where you are, and even in extreme lighting conditions. 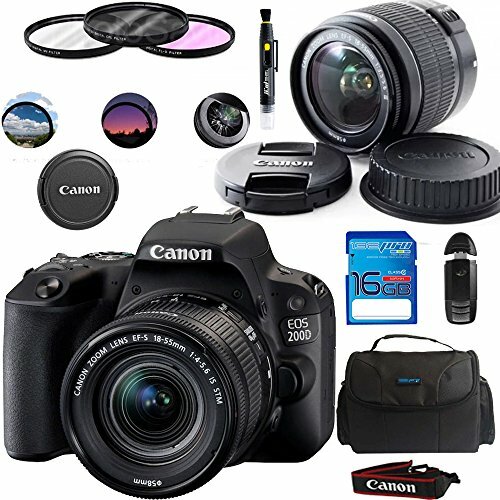 With a selection of built-in creative filters, easy connectivity options, including USB and a built-in SD slot, and a comfortable design that makes it easy to focus on what you’re doing, rather than trying to hold it correctly, the Canon 200D is an excellent choice for beginners and professional filmmakers alike. 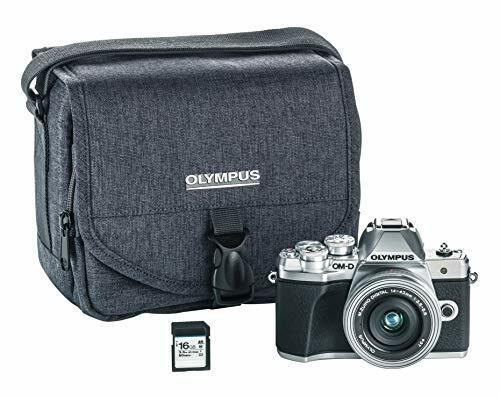 Olympus has always been a bit of a dark horse manufacturer since the rise and overtake of developers like Canon and Sony, but that doesn’t make the modern devices any less than the quality and performance we’ve come to expect from the once household name. With the E-M10 Mark III, you’ll instantly notice this more of an upgrade on the Mark II, rather than an entirely new camera altogether. However, the key features we’ll start with is the fact this model is capable of capturing footage in 4K and includes 121 autofocus points that aim to help you capture the best quality footage possible. The body of this device has been relatively stripped down and optimized compared to later models, making the controls much more innovative and easier to use, ensuring filmmakers of any skill level can take creative control, rather than getting hung up on operational issues. There are two adjustable lens types available from Olympus, but it’s worth noting this model doesn’t come with an APS-C sensor, but rather the much smaller Micro Four Thirds. While this means the resolution might not be as clear as higher-end models, the device is much smaller and much more compact, making it great for lightweight recording or traveling projects. 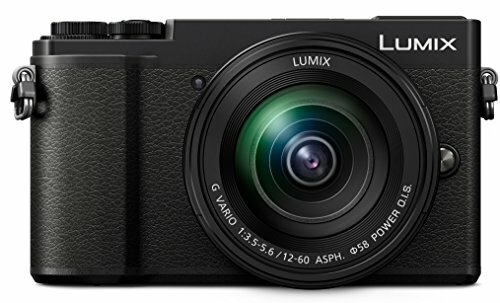 If you’ve been a fan of Panasonic, but not so much in recent years, you’ll be happy to know they have finally started listening to their users, and as a result, have designed and produced the Lumix GX9. Priding itself on its 20.3MP sensor, this is another Four Thirds mirrorless camera which is more of a dramatic enhancement of the more affordable GX8. However, the original optical bypass filter has been removed, which means the footage is sharper and holds more detail than before. As standard, the camera covers an ISO200-25600 range, with an option to extend this is ISO100, although you risk lowering the quality of your footage when using this option. What you will love is the built-in 3D tracking technology which is designed to optimize the focus tracking, even if foreign objects as passing across in front. 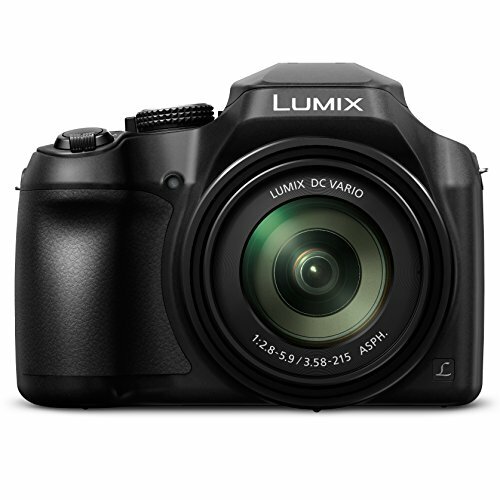 All in all, the Panasonic is a great choice for filmmakers looking for a lightweight 4K camera that allows them to point-and-shoot, as well as having the compact options to get creative without having to carry around too much equipment. 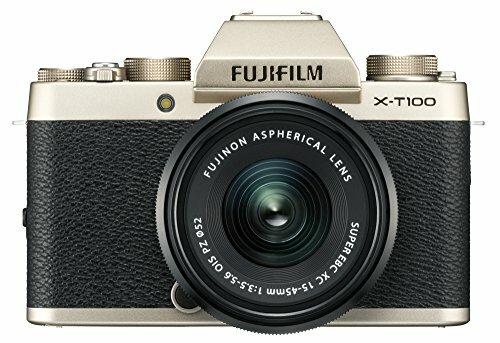 While the X-T100 is by no means the most capable mirrorless camera in the world, it’s an interesting take since it balances the performance and quality of a mirrorless camera while rivaling similarly capable DSLRs in terms of functionality and performance. What the Fujifilm does is brings about the ease of use that most DSLR filmmakers are used too and puts it into a mirrorless camera format. This means you can enjoy features like a 6fps burst shot, 4K UHD video recording, an ISO200-12,800 range, and a 91-point hybrid focus range, all within the body of a camera you already know how to use. Ideally, if you’re a novice filmmaker who’s looking for something to experiment with to learn the basics, without breaking the bank, this could make an ideal choice since it effortlessly balances price with performance, and makes for a fantastic stepping stone into the creative industry. To quickly round off our list, we’re heading back over to Panasonic for a look at the Lumix G80; a powerful mirrorless camera that’s great for both photo and video capture and has all the features you’ll need for a complete experience. While similar to the older G7, the G80 offers 16MP photo capture, 4K video capture, a 3-inch touchscreen and an impressive 2.4 million dot electronic processor, and there are even multiple lens kits available so you can easily find the setup that best suits you and your style of filming. Easily one of the best features is the built-in sensor-shift stabilization feature that helps keep your footage crystal-clear and sharper than previous models, and it’s also smaller, more compact, and weighs less, making it great for traveling around. All in all, this is a powerful and affordable mirrorless camera which makes a fantastic middle ground option if you’re looking to take both photos and capture video. As you can see, there are plenty of excellent mirrorless camera options out there if you’re looking for an affordable device under the $1,000 mark. The best thing to remember is to list out all the features you’re looking for, as well detailing what you need your device to do, before matching everything up to find the ideal mirrorless camera for your filmmaking needs and budget! We hope you’ve found this article on our favorite mirrorless cameras useful in helping you make your purchasing decision. Which mirrorless camera did you go for? Let us know in the comments below.